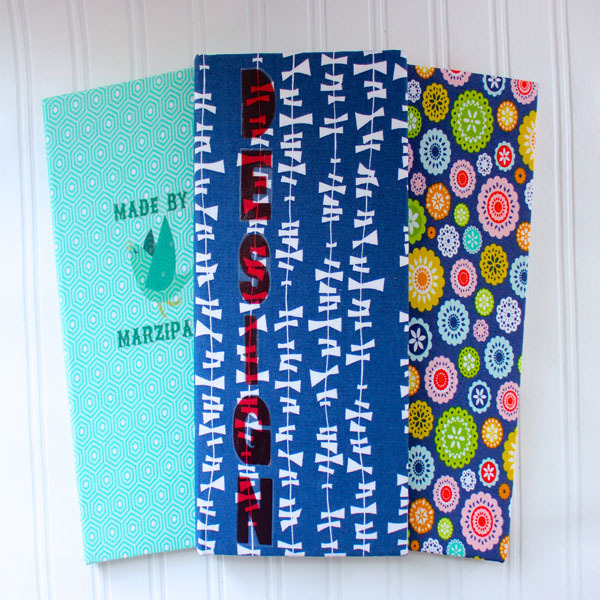 Project Description: This is part 2 of how to make a hardcover book. In part 1, I demonstrated how to make the text block. 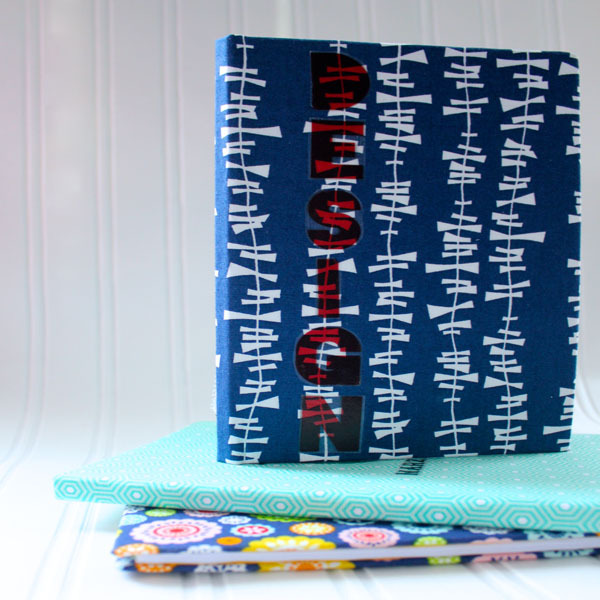 In part 2, I’ll show you how to create the cover, and share ideas for embellishing your journal. 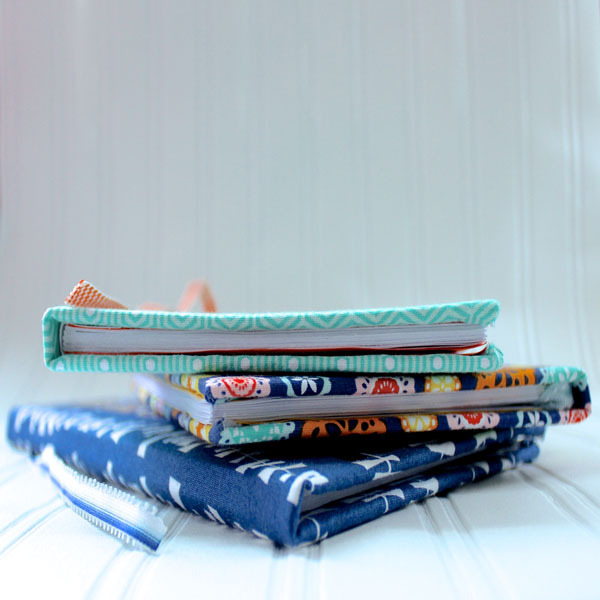 I’m using a fat quarter of cotton fabric and lightweight fusible interfacing to create book cloth. Iron the interfacing to the back of the cloth. This step prevents a lot of issues people experience with book-covering, such as wrinkling, warping, and fraying. I use Grafix brand chipboard for my covers. You can use medium or heavyweight. One 12×12 piece is enough for a book this size. Trace the sides of the text block on the chipboard. Add a half inch to the height. Cut two of these for covers. Also cut as a piece of chipboard that is the text block height plus a ½ inch, with the width being the same as the thickness of the text block. This will be the spine piece. You can use a craft knife or a heavy-duty paper cutter for this. Add glue to one cover piece, and adhere to the fabric, leaving at least a 1-inch border around the edges. Measure ¼ inch from the side of the glued cover and mark. Adhere the spine piece along this mark. Measure ¼ inch out from the edge of the spine piece and mark, and then adhere the second cover piece along this mark. Trim the fabric to about 1 inch on all sides. Trim the corners at an angle, leaving a little excess at the tip of the corner. Add glue to the fabric border, and then fold up around cover. Tuck in the excess fabric at the corners. Now we can add the text block. Slide a piece of scrap cardstock between the layers of the colored endpapers to protect them. Add glue to the endpaper, then smooth onto the cover. Repeat for the back. Place in a book press or underneath a heavy, flat object for a couple of hours. That’s it! You’ve made a book! You can further personalize your book by printing your own rub-on title using Rub-Onz transfer film. The great thing about these books is that they can become anything you want. 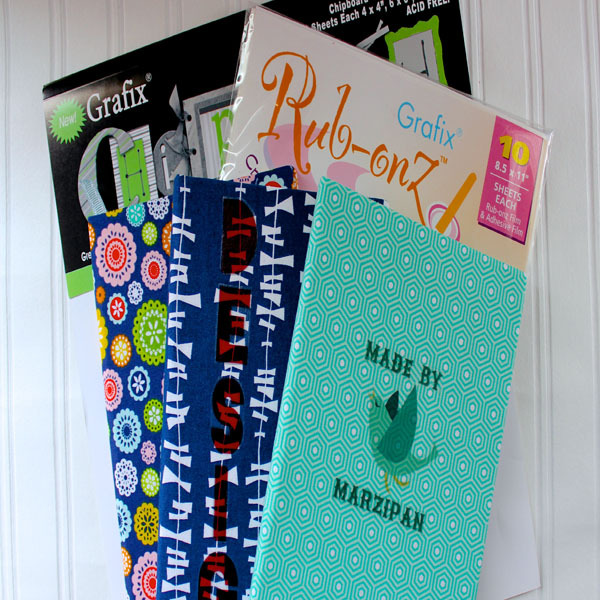 Try using Sakura Gelly Roll® pens to create colorful drawings and journaling.